Looking for an American Bulldog? 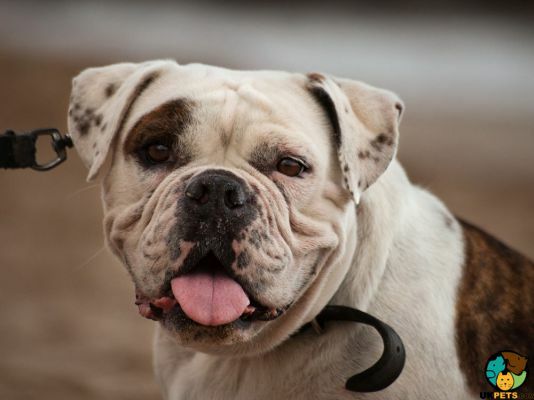 The American Bulldog is said to have come from the English Bulldog and brought by immigrants to the USA in the 1800s. Appearance-wise, there are two types: (1) the Johnson, classic or bully type; and (2) the Scott, standard or performance type. It is active, assertive and friendly towards people but has a tendency to be dog aggressive without early socialisation. Its grooming needs are rather low because of its short coat. Unlike its predecessor, it is an active breed with high exercise needs. 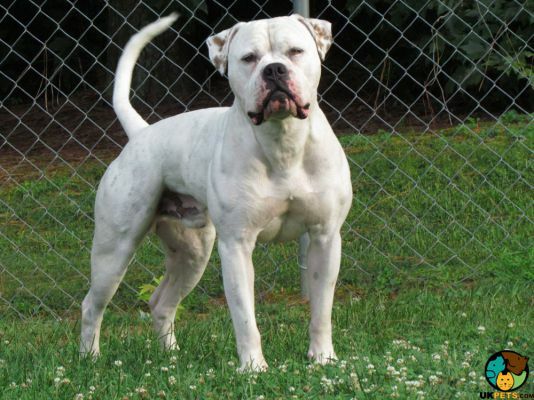 Interested in getting an American Bulldog? Here is a brief background of this tall, chunky and muscular, yet friendly dog. The origin of the American Bulldog is quite tricky due to the lack of documentation. It is believed to have descended from the English Bulldog and brought by immigrants to the US in the 1800s. The breed was originally used as working dogs that guarded farms, hunted bears and gathered cattle. It was also used in bullbaiting before the sport was eventually banned. It was not considered a breed before but a generic type of bulldog. 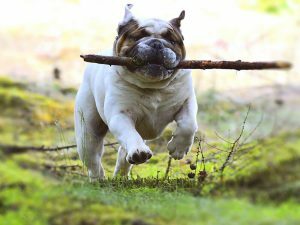 The number of bulldogs significantly declined during World War II in southern America. It was saved from extinction by a man named John Johnson who gathered the best specimens. This endeavour was supported by another man named Alan Scott, who helped him create the first American Bulldogs. Johnson infused the line with a primitive bulldog from the north, while Scott went to cross with catch bulldogs from southern farms. The two had a fall out and went separate ways after they crossed their bulldogs with other lines. The American Bulldog is still not recognised by The Kennel Club as a breed. However, it is recognised by the United Kennel Club and the American Kennel Club. 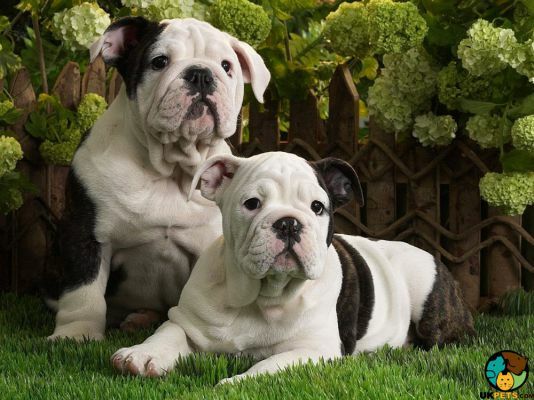 The two types of American Bulldogs are the Johnson, classic or bully type, and the Scott, standard or performance type. Bred as a farm utility dog, this large breed is generally a tall and stocky dog with a large head, thick neck and a muscular body. Since the emphasis is on ability rather than appearance, its height and weight considerably vary. It can weigh between 60 and 120 pounds, and stand at 52 to 70 centimetres at the withers. This canine is fairly low maintenance and only needs baths when it begins to have that particular doggy smell. However, its wrinkled face needs to be wiped and dried regularly to avoid bacteria buildup. Its short coat will benefit from regular brushing. Weekly tooth brushing is also required since it is prone to bad breath. Start brushing its teeth while young so it gets the hang of it. Giving it chew bones and toys will also keep its teeth free from tartar build-up. Dogs generally don’t like their paws to be touched so it is best to acquaint your American Bulldog to nail trimming early. Always make this process a positive experience by being extra careful and giving rewards and praises after. Also make sure that its ears are clean and skin free from spots, redness and parasites. 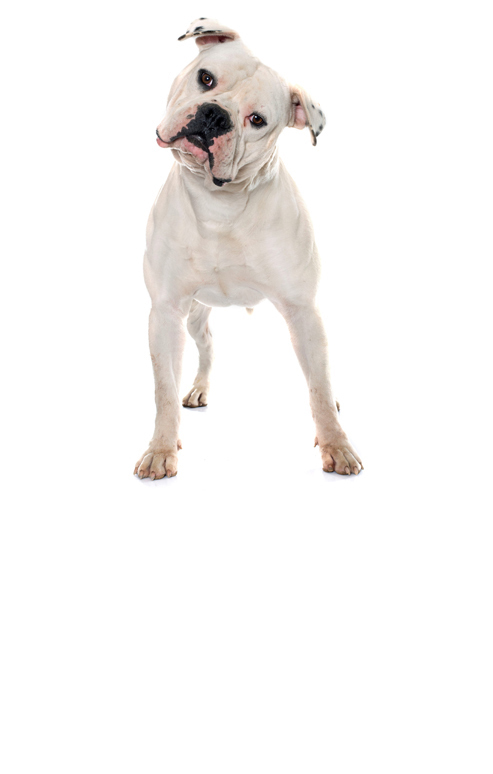 The American Bulldog is active, confident and friendly toward people. However, it can be extremely dog aggressive if not socialised early in its life. It has a high tolerance for kids but it is not advisable for families with very young children. It can get hyperactive and may not be aware of its size and weight. The breed is known to be strong willed, which is why training is difficult. It is not recommended to first-time owners because it will challenge authority. Positive reinforcement, treats and consistency are key. A typical serving for this dog is 2 to 4 cups of excellent quality dry dog food per day. The amount and frequency you feed your dog depend on its age, size, build, activity level and metabolism. As a muscular dog that is active, it needs plenty of protein as this helps fuel and maintain its stocky body. Since this breed loves to eat and easily puts on pounds, control its carb intake. Also choose complex carbohydrates and avoid simple ones like soy, corn and sugar. As a canine prone to dysplasia, introduce dog food containing glucosamine and chondroitin and key nutrients that will promote general bone and joint health. The average lifespan of American Bulldogs is between 10 and 15 years. They are generally healthy but are predisposed to certain conditions. These include Hip and Elbow Dysplasia, Ichthyosis, Neuronal Ceroid Lipofuscinosis, Bone Cancer, Entropion, and Ectropion. As a very active working dog, this breed requires vigorous exercise regimens. It needs at least 2 walks per day or long exercise hours in a fenced backyard. Another way to drain this dog is to teach tricks and games. Stubborn as it is, once it gets the hang of training routines, it will enjoy activities with its master. 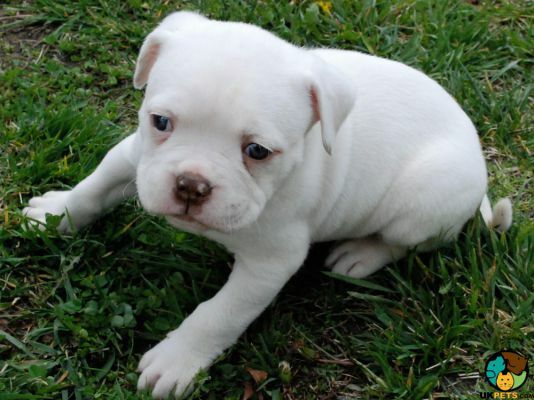 A well-bred American Bulldog puppy costs between £400 and over £1000, depending on its pedigree quality. The cost of ownership doesn’t end at your purchase of your dog. It entails a great deal of responsibility, which involves a big price tag. High quality food costs, including treats will be around £40 a month or £480 a year. The initial costs of basic equipment and supplies (bed, crate, collar and leash, dish bowls, and toys, among others) will be an additional £150 to £200. An important aspect of dog ownership is health care. 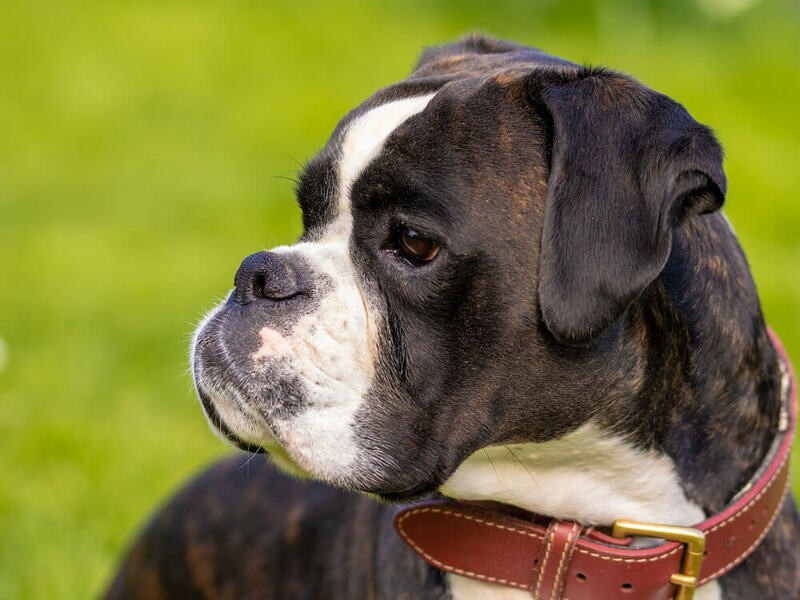 Aside from providing the best food, make sure your bulldog has regular veterinary visits, yearly vaccinations and preventive treatments, which could cost up to £1,000 annually. Getting pet insurance (£50 to £120 a month) is also a must to avoid sudden expensive veterinary costs when your dog gets sick. 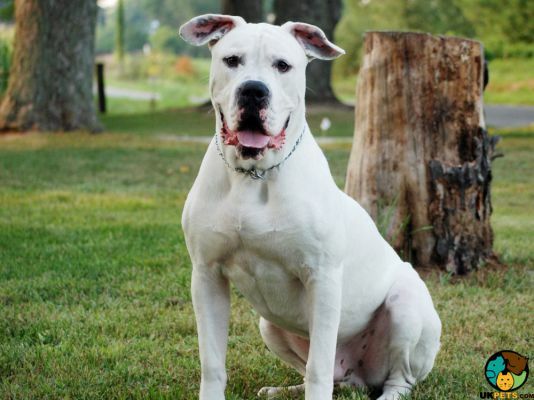 Is an American Bulldog Right for You? 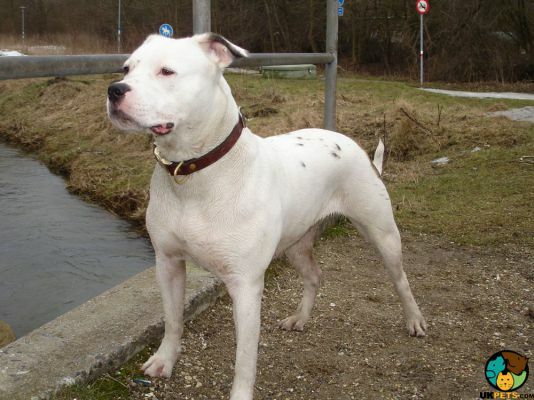 The American Bulldog was bred as a farm utility dog. It is a large breed with a big appetite and high exercise needs. It is easy to groom as it only requires regular brushing and wiping; it can be bathed as needed. It can be challenging to train because of its stubborn nature. This breed is friendly towards people but can be dog aggressive.